SkiMyBest: "Learn to Ski/Ski Better/Ski My Best". This is a free site. Go to SkiMyBest contents after accepting the Site Use Agreement or EXIT NOW. 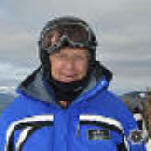 ♦to book private ski lessons with Bill Jones, ski instructor, see below. Bookings for private lessons for winter 2018-2019 can again be made for Bill Jones through the Keystone Ski School. Recall that as a Vail Resorts instructor I can meet you at Keystone and Breckenridge. For other resorts, inquire. If I have been lucky enough to ski with you, thanks for the opportunity. If not, let's give it a go! Thanks for your support--Bill Jones. 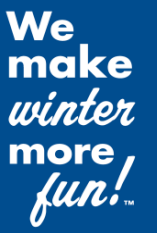 Please contact Bill with inquiries but do not ask to make arrangements for lessons other than through the official ski school--Why? Note that neither Bill nor any other instructor can be reserved for group lessons. Bill teaches alpine skiing--not snowboarding, in the terrain parks, telemark, or cross-country. This "Ski My Best: Learn to Ski/Ski Better/Ski My Best" page last modified 05/14/2018 12:30:25 PM. Did you come here from a link on another website? For latest version of this page, copy to your browser: www.SkiMyBest.com\index.htm. Copyright © 2013, 2014, 2015, 2016, 2017, 2018, 2019. William R Jones.